This natural canvas official NCAA University of North Carolina Charlotte tote bag is a great everyday University of North Carolina Charlotte logo tote bag or UNCC UNC Charlotte shopping bag. The Broad Bay University of North Carolina Charlotte tote bag makes a great UNCC UNC Charlotte travel bag or beach and pool tote. The Broad Bay University of North Carolina Charlotte logo tote bag is made of super strong 12oz 100% cotton canvas fabric and features cotton webbing handles with reinforced stress point stitching. 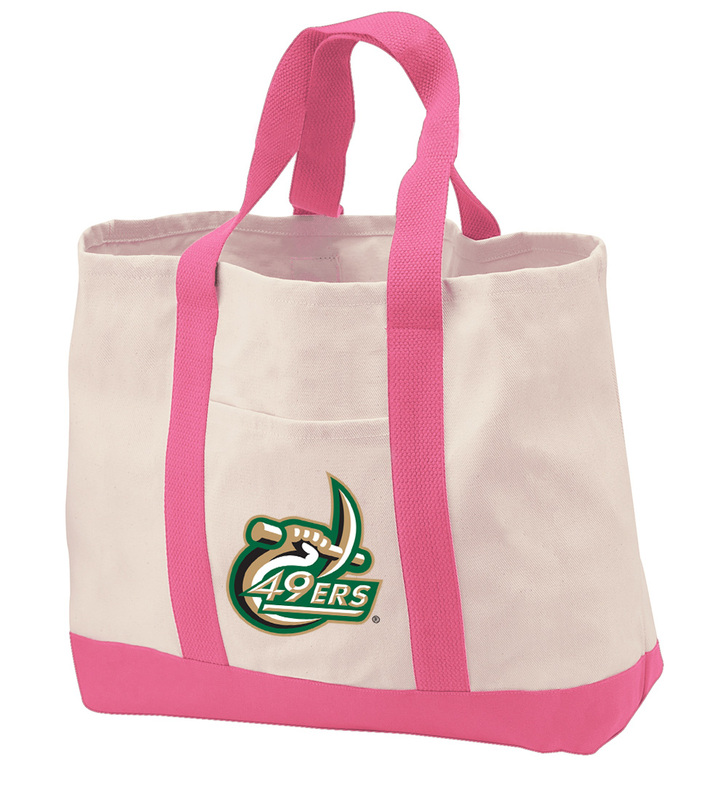 This medium sized University of North Carolina Charlotte tote bag is 13" high x 12" wide x 5" deep. **OFFICIAL UNCC UNC Charlotte Logo Tote Bags & Canvas University of North Carolina Charlotte Tote Bags - Up To 12% Returned To Support University of North Carolina Charlotte Programs! Official NCAA University of North Carolina Charlotte Tote Bags- Up to 12% Returned To Support UNCC UNC Charlotte Programs!